I don’t spend a lot of time in Central Park. It’s far away, there are tons of tourists, and it’s not always possible to find a quiet spot to enjoy nature, since, like I said, tons of tourists. Mostly when I want to hang out in a big park, I head to Prospect Park — closer and quieter. 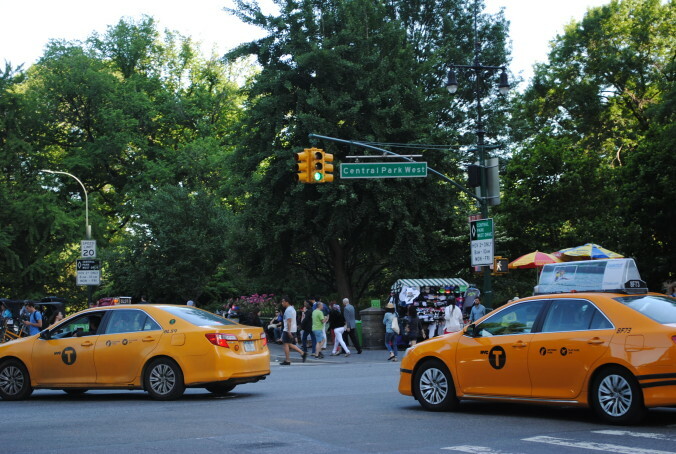 But Central Park is the first thing I loved about New York City as a kid. I had at least one Central Park-themed calendar along the way, and on visits to the city I would always want to visit. It’s just so BIG and after walking around the city, it’s so green. I loved the boulders every kid ever wants to scramble around on, even before they showed up in an episode of Doctor Who. My only memory from when my dad ran the NYC marathon is of waiting in Central Park for him when it was all over. I remember the first time I ever went to Target. No, that’s a lie. I have vague memories of possibly visiting a Target while on a trip Minnesota, before it was a fixture in every major suburb I’ve ever spent time in, and I know there was a time before the Target in my hometown sprung up about a twenty minute walk from our house. But I don’t really remember the Time Before Target, so I don’t remember my first time in a store. 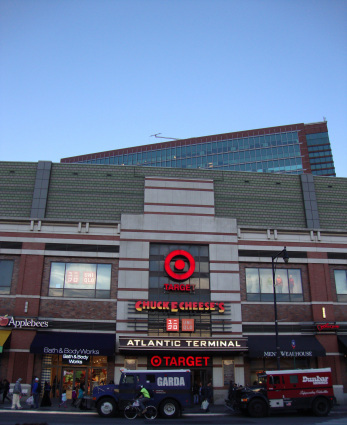 But I do remember the first time I ever set foot in the Target at Atlantic Terminal Mall. I love parks – I write about them enough, don’t I? 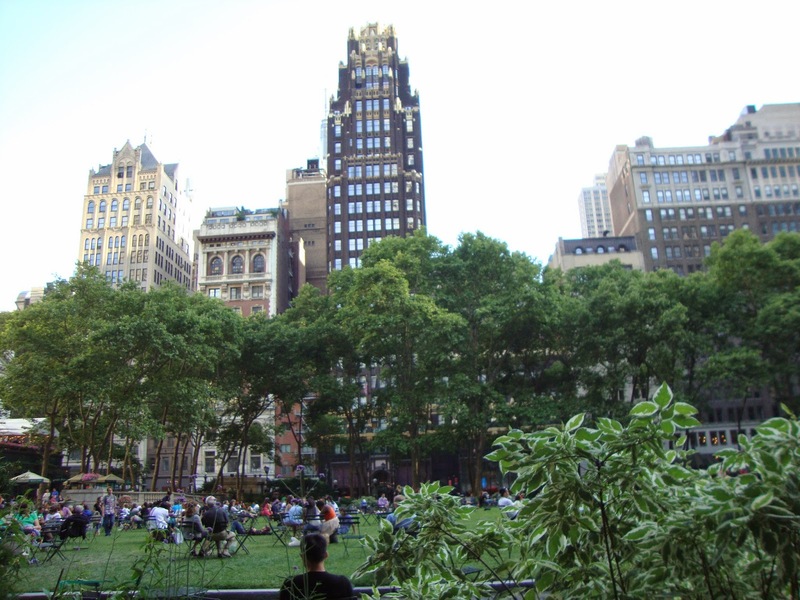 – but Bryant Park is a very special kind of park. As my friend said on Friday when we ate our pizza there before seeing a show, in Bryant Park you are still very much in the city. It’s ringed with tall buildings that you can see above the tree line, and it’s filled with people at all times, people who are sitting and reading or sunbathing or talking or doing yoga or doing nothing. There’s food to eat and a carousel to ride and an outdoor bar and ping pong tables and a library space – and space to just be, even in the midst of hundreds of other people. It’s only been that way for a little over twenty years, after a renovation that turned it from an unsafe space to a celebrated public asset – with public bathrooms worth raving about. Last Friday night, I went square dancing in Bryant Park. 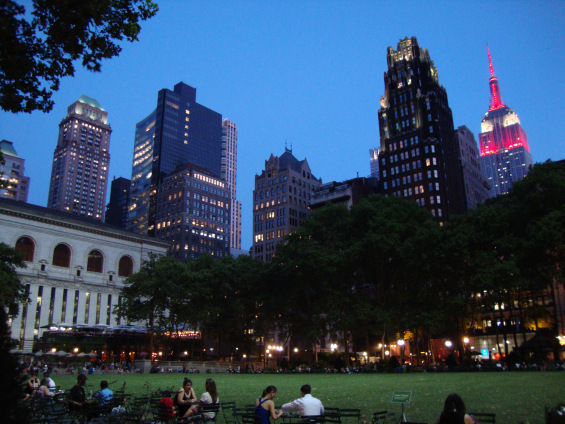 I have a special love for Bryant Park. Right before I moved to New York, I came in for an interview, and that summer evening I went with two friends to the park and sat at one of the tables in the twilight and fell for the city because of the blue shadows the trees cast on the sidewalk. I tell that story to pretty much everyone I’ve ever been in Bryant Park with, but the park still has a bit of that magic for me each time I visit.